After 8 years, we thought we’d share some lessons about the role of ICT in development we’ve learned along the way. Disruptive technologies such as drones, Virtual Reality, Artificial Intelligence, ChatBots and Graph databases bring huge emerging possibilities in the field of ICT4D. But the real game changer for ICT4D initiatives has been the worldwide influx of simple, low-cost devices and software. In a developing context, scalability = impact. For example, leveraging the smartphone as a tool is an easily scalable strategy in developing countries. And it’s often simple (and often open-source) technologies that are making this possible. Take KoBo Toolbox, which makes it possible to gather reliable data in challenging environments. 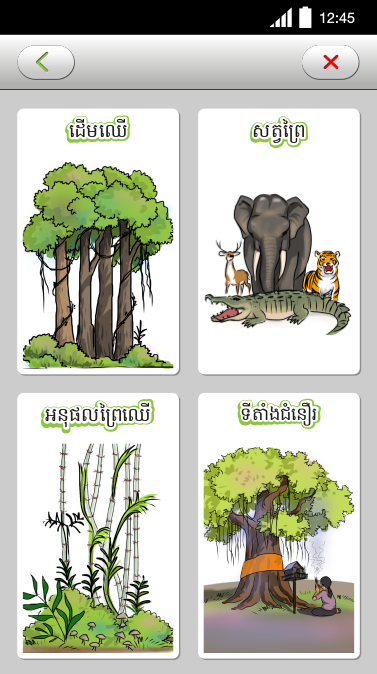 It was a component of our super-simple yet super-effective anti-deforestation data collection app, which is used to defend the rights of over 200,000 Cambodians. 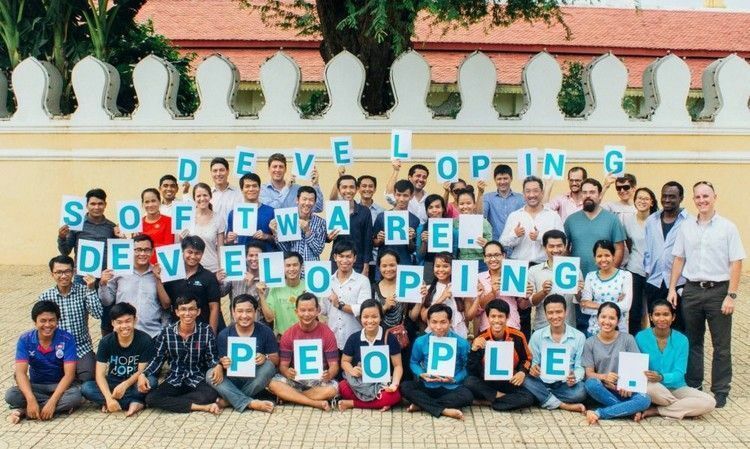 To date this app has won 3 innovation awards for using technology for social change in Cambodia, and the no-frills concept and components are key to its success. Development projects usually involve multiple stakeholders from diverse backgrounds: the donor, implementation partner, supplier, users on the ground, various consultants and all the other people in between. Also, in the full lifecycle of a project in a developing context, so much can change. Governments, laws, stakeholders, but especially requirements. Using a traditional “Waterfall” project methodology is way too restrictive for these complex projects. Agile supports evolving requirements so the project team can choose where to allocate funds throughout the project, not just at the beginning. Example: For an ICT4D project we did on infant health, the specifications said that a certain app feature was needed though the users in the field shouted the opposite. Our Agile approach meant we were able to revisit and reinvest, and avoided spending resources on an obsolete feature. Not only did this help us to spend budget more strategically, but also gave the users tangible influence in the whole process, which is critical for adoption rates and inclusivity. "Embracing the uncertainty of Agile is a challenge for traditional leaning organizations but the sector is evolving and organizations need to be ready for change." The right UX is the difference between a failed vs. successful ICT4D project. UX is central to the adoption of new technology, and is even more important in a developing context where your users might be completely new to whatever device they are using. 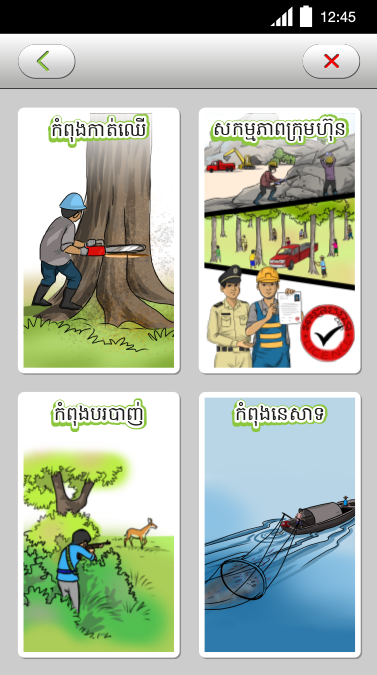 Take the anti-deforestation app, where the data collection process was carefully designed for rural users who were illiterate or had never used a smartphone before. For this project: good UX → higher data quality → easier advocacy → social change → return on donor investment → increased potential for further investment. The right UX should result in training being minimal or non-existent. Easy onboarding not only helps the solution be more sustainable but solves the logistical problem of geographically scattered users. For apps with a set user group--and where you’re not measuring success by the number of downloads--function wins over form. Instead of the latest trend in UX design make sure it’s only what people need to get the job done, especially for the V1. "The key is to design for what people need, not what they want." Too many development aid projects fall into a state of disrepair a few months after the project has ended. This is the folly of the project not product mindset, but that’s a topic for another post. For an ICT4D app to be a long-term success it must be maintainable. Investing in a local partner who can continue to support maintenance and training a few months down the line will help make it sustainable. Bonus: by building a product in co-operation with a local implementation partner, who themselves acquire new competencies and technology experience in the process, you can have regional impact beyond your project scope. Similarly, using open source software keeps the door open for further improvements. What about going even further and releasing the final project open source? Think of how quickly the sector could grow and the impact that could be had if all ICT4D projects were released for the global tech for good community. This might seem like a no brainer, but it’s surprising how many project concepts are developed top down with too little consultation with the people who will be using the product. This comes back to the idea of developing what people need, not what they want. Make sure you are listening to the right people when making those calls, and that their voices are officially represented, be it via designated roles or process. The Prey Lang app was developed in close consultation with the Cambodian network members who would be using the phones, and after field testing we had to go back to the drawing board more than once to make sure we were really listening to their needs and following their ideas. The result? User motivation that leads to sustainable development, with less dependence on donor funding. That’s the stuff fundraising managers’ dreams are made of! Dominik is Co-Founder and CEO of Web Essentials. His passion is to provide fairly traded web development services of quality while making a social impact in the community he works and lives in. 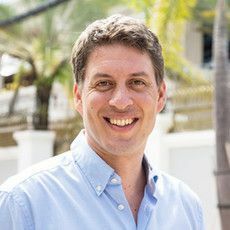 He has an engineering degree from the University of Applied Sciences of Western Switzerland and has worked as a web professional since 1998. He contributes to the TYPO3 community as a member of the T3A Expert Advisory Board and is a visionary in the Web development field. We are recruiting: Visit our careers page!